Google has rolled out a new display ads format that is promising to help local businesses maximise their return on investment. The new format now has a ‘location extensions’ feature on the Google Display Network which automatically includes information like photos, business hours and the business’ store location – in addition to an ad copy and headline. Google used the example below to illustrate how the new display ad format looks. According to Google Inc., this new service makes the ads more useful to nearby customers who are looking for what you are selling, or those who are interested in the physical location of your business. Google further indicated that advertisers may see a significant increase in clicks to their respective businesses. The tech giant says that during testing of this new display ad format, 60 percent of clicks were related to directions or information about store locations. This format impacts only the Display Network of Google AdWords and does not affect advertisers on the company’s Search Network. Google AdWords is normally split into two networks, the Display Network and the Search Network. Advertising on Google’s Search Network involves placing businesses’ text ads in the search engine results. When businesses advertise on the Google Display Network, instead of placing text ads, businesses have their display ads placed on a huge network of sites across the worldwide web. Display ads, also referred to as banner ads, are a form of paid ads comprising of photographs or images and ad copies. A lot of businesses that sell products which customers may want to see normally invest in this type of ads. Banner ads tend to carry the visual appeal element that may lure shoppers into trying out a business’ products. 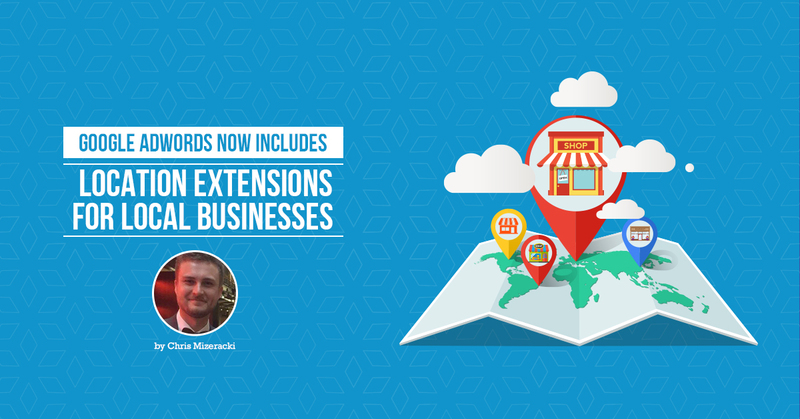 The new location extensions feature comes as great news for such businesses that depend on the ads on Google’s Display Network for selling their wares. According to a recent Google+ post, the location extensions service can boost click through rates (CTR) by up to 10 percent. In addition, businesses may be happy to know that some of their regular display ads may be automatically converted into the new format and displayed to potential users nearby. If your ad has 300×250 images, text and is responsive, it can be dynamically converted to the new display ad format when Google detects that potential users are nearby. This may happen as long and you (the advertiser) have not opted out of the location extensions service. 1. The location extensions encourage potential shoppers to visit your store. A lot of retailers that have online stores normally encourage customers to visit their retail outlets in person. The secret is to encourage auxiliary buying. There’s the hope that the customer who visits the store in person will spot other items they like and likely buy them too. 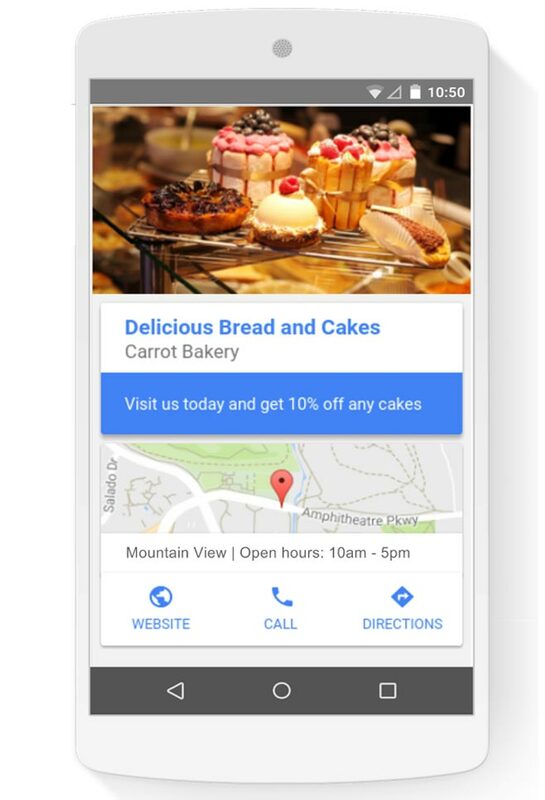 With the location feature on Google, businesses can encourage foot traffic into their stores by displaying the banner ads to customers nearby. With location extensions, users just need to hit the call button to get in touch with your business. This ease is likely to encourage more users to promptly call your business for services. Once your business receives the call, it becomes easier to leverage that chance to persuade the caller into buying what you are selling. Normally you have to optimise all your campaigns for mobile search in order to be visible to the millions of searches that come from mobile devices. With the location extensions however, you can cut through the clutter without necessarily having to work for it. Google will automatically narrow down the search location to your immediate locality and present your ad only to the relevant searches nearby. The ad extensions make your business more readily available to potential customers. Your business address and contact are both availed to the user in a single ad. The ease with which to call you up and the proximity factor both act to improve your conversions and click-through rates on your ads. The additional service (Location Extensions) do not cost any additional fees and in some cases no additional work on your part. Google may automatically convert your display ads into the new format. 6. Advertisers also have complete control on the targeting of locations around given business addresses. How to create location extension ads? To create display ads with the location extension, you need to first sign into your Google AdWords account. This new location extensions format is available as an option in the advertisements gallery in your Google AdWords account. To get started, hit the Campaigns tab, followed by the +Campaign button and then select Display Network only. Once done, take the “No marketing objective” option and then enter your preferred name for the campaign. Add the bid strategy and budget, done. Now proceed to check the “Extend my ads with location information” option. If you wish to show location extension advertisements to only those who are physically located around your store (s) and exclude people who are interested in your local area, then go to the advanced settings and click the Location options. Select the “People in my target location” option, then save and continue. These settings allow you to upload up to a maximum of three images, an ad headline, a logo and a description. Google allows you to choose whether or not you want the new display ads format on your campaigns. If you want out, simply select Location extensions on your AdWords Extensions tab, and click + Extension, followed by “Select campaigns”. Pick one or more of the ad groups or campaigns for which you wish to turn off location extensions and select “Use campaign location extension.” Finally, tap the “Disable location extensions” tab.